In a Dark, Dark Wood by Ruth Ware. Gallery/Scout Press. 2015. Library copy. The Plot: Nora cannot believe it when she gets an invitation to Clare's hen do (aka, bachelorette party.) Yes, they had been best friends ten years ago, in school. But that was before, before college, before, well, everything. They haven't even talked since then. Nora decides to go. She's just too curious, both to see Clare again but also to discover why Clare invited her. And while Nora is happy with her life, part of her thinks she needs to make peace with her own past. And things go terribly wrong. 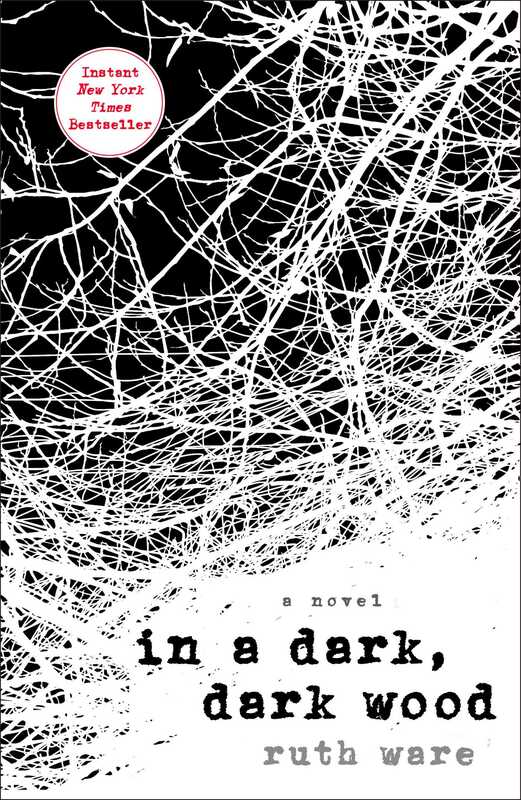 The Good: In a Dark, Dark Wood is an updated, modern version of a cozy mystery that isn't that cozy. It's bloody and violent and nasty. Clare's "hen do" (her pre-wedding weekend party) brings together a handful of her best friends in a remote area of the country. They're in a gorgeous, glass-walled modern house in the middle of nowhere, with just each other for company. Perhaps it's the remoteness, but the party is made up of just about six people. It's small and intimate, which makes Nora being there even more weird. This is the type of book where you want to discover what's going on on your own; that's part of the appeal. So what can I tell? The atmosphere is wonderful: partly claustrophobic, because they are all in the vacation house together. But even before then, Nora's life is small. She's a novelist, working at home, so there's no workplace and coworkers. She has few friends. Even her flat is small; she can reach the coffee maker without getting out of bed. It's also an atmosphere of not knowing. It's Nora's story, and she won't share with the reader why she left school and walked away from her best friend. Not yet, anyway. But it's not just what she won't tell, it's what she can't remember. The story starts with Nora running through the woods and then in the hospital and she knows something bad happened during the hen do but she doesn't remember what. Or to who. And even as she starts to tell about the hen do, these are people she has no history with, save one friend, and of course Clare. This is creepy and scary. And it's also about manipulation and lies. And the masks we wear. And about a hen do gone terribly, horribly wrong. So OF COURSE it's a Favorite Book Read in 2015.